My wife and I are from two different worlds. Fiona grew up on the coast near Mona Vale, in Sydney. She loves the beach and everything about it - the sand between your toes, the esky full of refreshments, the family cricket games. As a couple, we share each other's love for both these places. And for us, the South Coast is the best of both worlds. If you’ve ever driven down through Kiama Heights, on the Princess Highway, you’ll know it really is a sight to see. The road runs along the side of a mountain, with rolling green farms to your right, while the tumbling waves of the ocean are on your left. To holiday in the South Coast is to experience the salty, relaxed coastal lifestyle one day and tour a dairy farm or vineyard the next. This means Fiona and I are both satisfied - the secret to a happy marriage! The Sensational South Coast Tour is during peak whale season, giving us the best opportunity to spot some in the flesh. One of our favourite activities is the Cat Balou Cruise at Eden, where you can see the whales swimming in the bay, right there with you. We can’t promise anything because it does depend on the tides, but we have a great success rate! The tour includes tea and coffee, and we come in right when the sun is setting. It is just one of those moments where you sit back, relax and contemplate how lucky we are to have all this beauty at our fingertips. The Eden Killer Whale Museum and the story of ‘Old Tom’ is another highlight of the tour. It is speculated that Tom was the ‘leader’ of a particular pod of killer whales, which worked with the whalers, by herding baleen whales into Twofold Bay. Another great adventure back in time is the 'History of Dairy' Museum in Bega, which really opens your eyes to what life is like in the dairy industry - back in the 1900’s right up to now. It’s such an important industry in this area, a major driving force in their economy. But the museum shows that it’s so much more than this - it’s a way of life. We are not afraid to be ‘typical tourists’ on this tour. The South Coast is one of those places where all the classic attractions are just as exciting and beautiful as the hidden gems. We manage to fit in both! 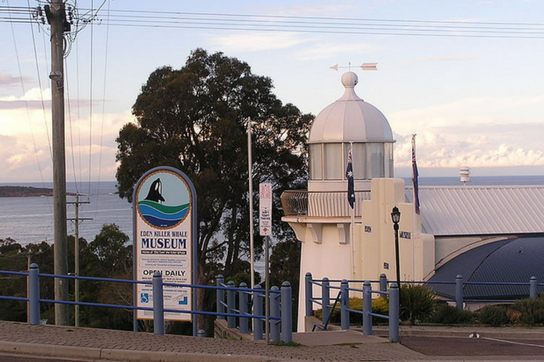 The major attractions include the Kiama Blowhole, the Sea Cliff Bridge, the Merimbula Aquarium, the Mimosa Winery, the Snowy Hydro Discovery Centre… there is something for everyone. While the day tours we partake in are lead by guides employed by the Visitor Information Centre - locals who know the little tidbits of information that are so valuable. You just can’t beat local knowledge. There is so much to love about this part of our country. The natural beauty, the fascinating historical tours, the time spent close to the ocean. But what keeps us going back is the way it brings everyone together. You just can’t help but enjoy every aspect of the trip, because it caters to everyone’s taste. If you haven’t been yet - now is the time! If you’ve already been - I can bet you now, there’s still so much more to see. Have a look at our Spectacular South Coast Tour for more information.